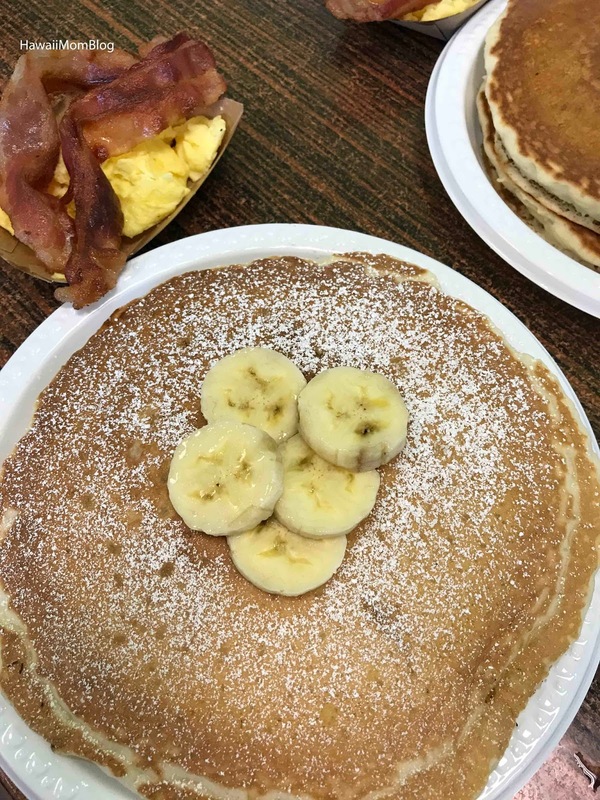 A couple of friends had mentioned that Pine Tree Cafe was a great spot for food while in Kona, so our family ended up going there twice! 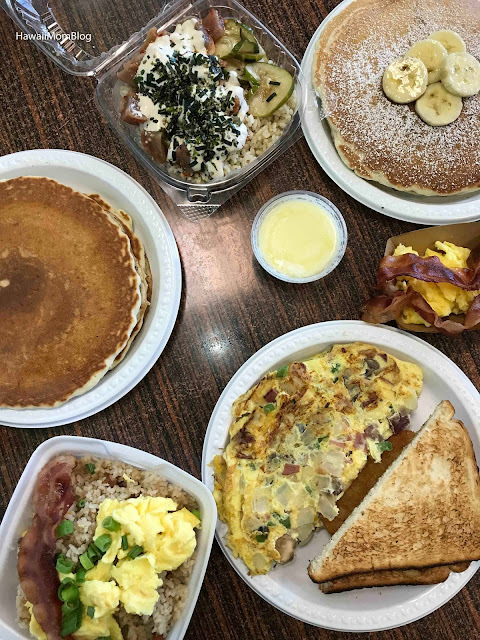 We went to Pine Tree Cafe once for breakfast, and we also picked up food to eat at the airport while waiting for our flight. 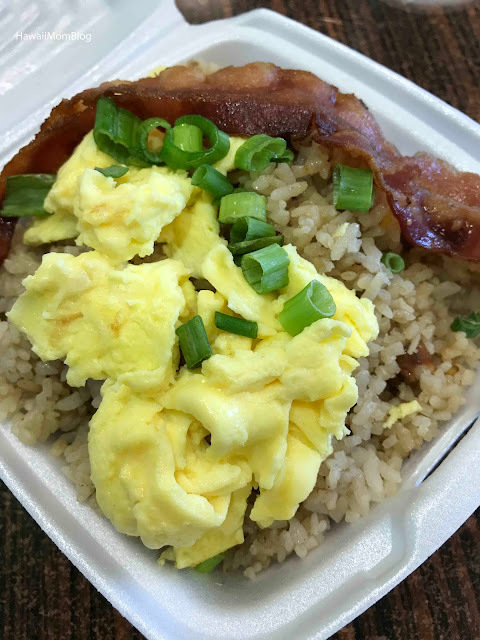 For breakfast, I ordered the Fried Rice Bowl, which comes with bacon, and I also added an egg. The fried rice was tasty, and I thought it was a generous portion for just $3.95! 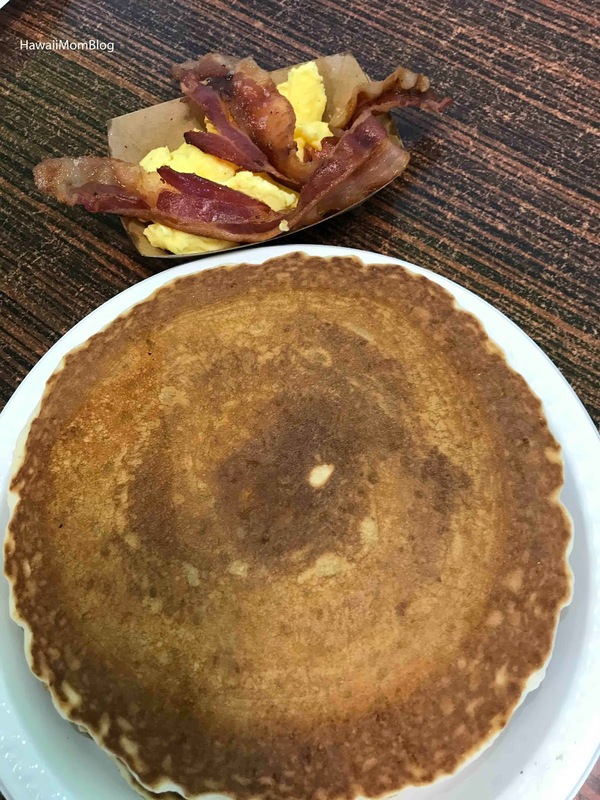 The Pancake Plate comes with two pancakes, egg, and choice of meat. 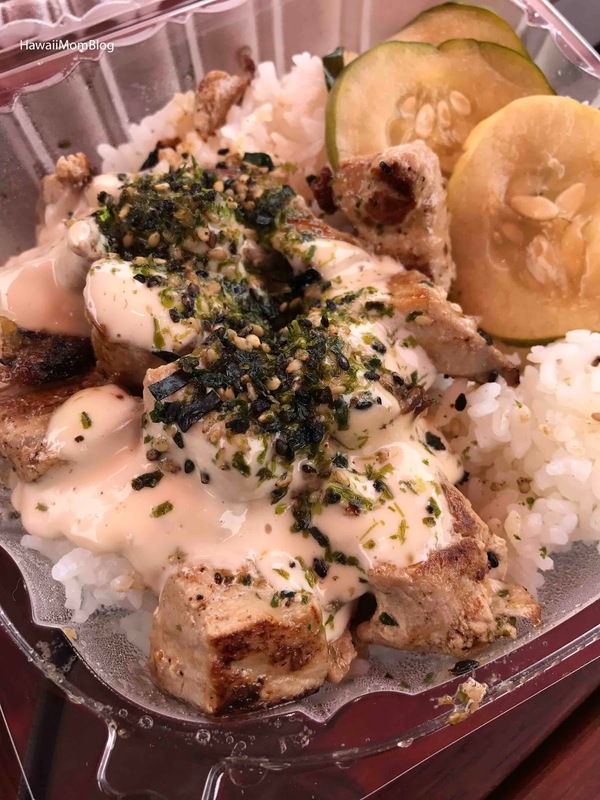 We opted to try the Haupia Butter for an extra $1. It was pretty good! 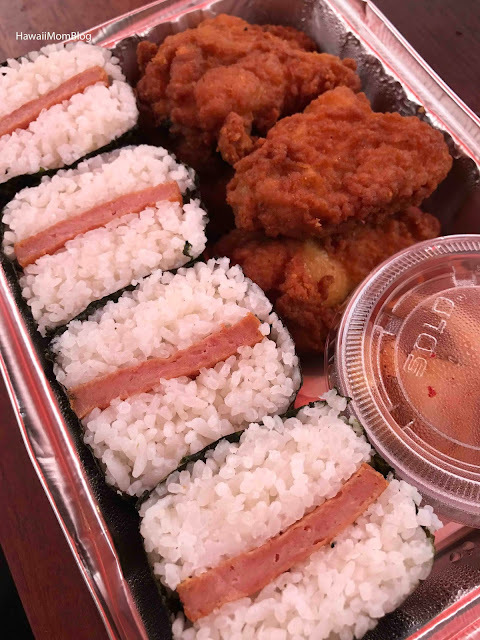 The Beach Bento consisted of two SPAM Musubis, Wing Dittes, and Kim Chee. 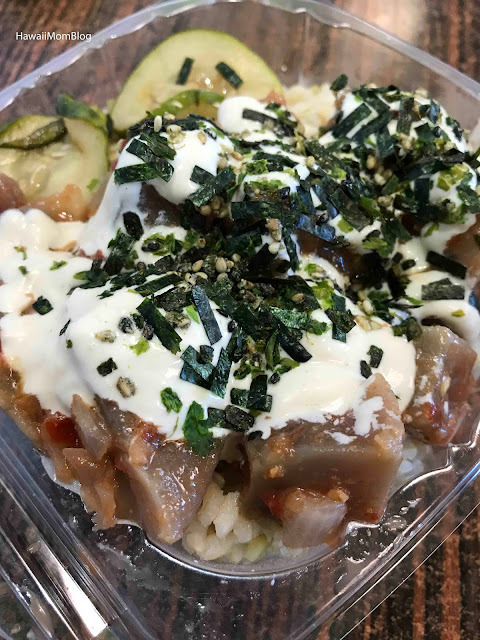 A friend had mentioned how she loves the Korean Chicken, so I wanted to give it a try. 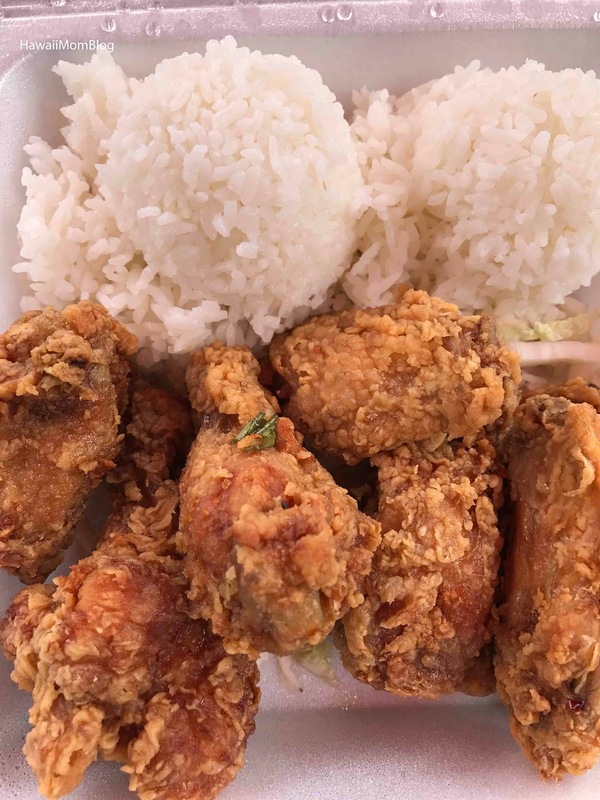 The Korean Chicken was actually wings (I prefer boneless), but I thought the flavor was good. 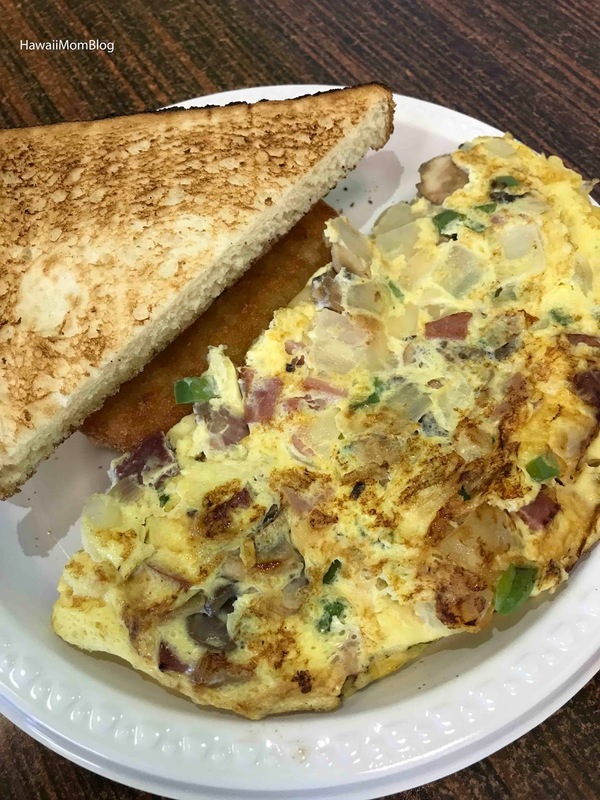 Prices were pretty reasonable, and overall we enjoyed everything we ordered from Pine Tree Cafe!